Football is an inseparable part of American culture—from tailgating and touchdowns to vintage jerseys and quirky mascots—all these elements add to why were in love with the game. For its latest campaign, Nike Football approached us to help celebrate this love for the gridiron with a range of tees showcasing teams from both college and the NFL. The capsule showcased perennial powerhouses along with rising teams, from USC and the University of Texas, Austin, to the Seattle Seahawks, Dallas Cowboys and Los Angeles Rams. The release was extra special, in that it marked the resounding return of the Rams to the City of Angels. 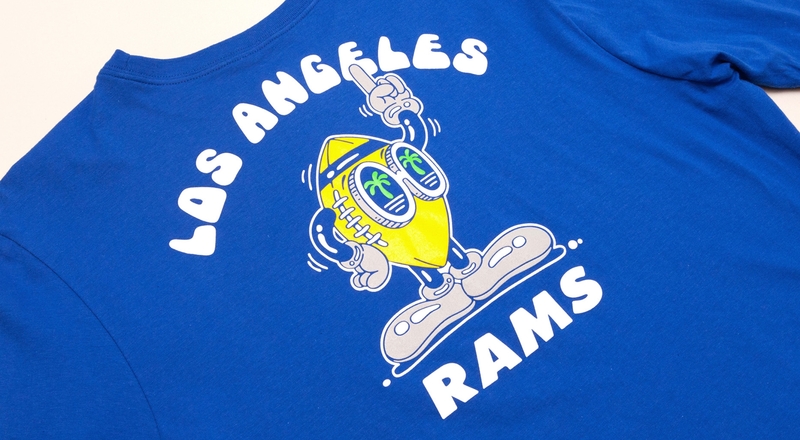 To commemorate the event, local street staple, BAIT, held a day one event where both Rams and USC merchandise was sold.